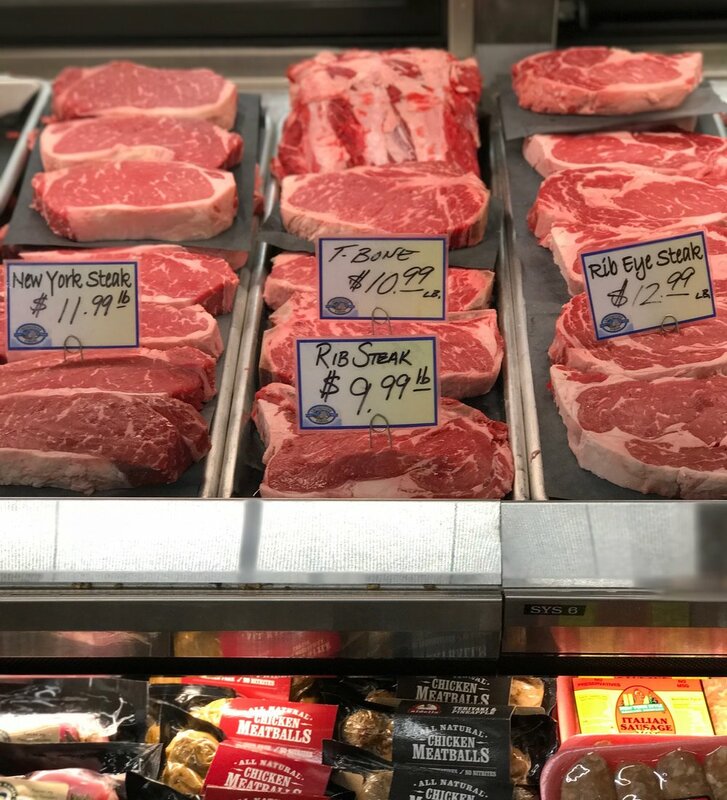 Both locations feature a full-service meat department with expert meat cutters available to answer your questions about selection, seasonal specials, and cooking preparation. We can also help you with a custom order or special request, as well as direct you toward cuts and special selections you may not have otherwise known about. Our meat case is always fully stocked with premium black angus beef from Creekstone Farms. Along with Creekstone Farms, we are also proud to offer local Orvis Ranch beef, grass fed Niman Ranch steaks and Organic Air Chilled Smart chicken. Our full-service meat departments feature the best, freshest meats available.